Just Plain Sadie is A Wells Landing Romance book. Wow I was swept away on an emotional roller coaster ride reading Just Plain Sadie. There is so many things happening with this story. A story full of heartache, pain, faith, and trust. Amy sure knows how to capture your attention and not let it go with her stories that she writes. If you love Amish fiction and romance than this is the book for you. Be sure to get your copy of Just Plain Sadie by Amy Lillard today. 5 stars! I received a copy of this book for my honest review. Amy loves nothing more than a good book. Except for her family…and maybe homemade tacos…and nail polish. But reading and writing are definitely high on the list. Born and bred in Mississippi, Amy is a transplanted Southern Belle who now lives in Oklahoma with her deputy husband, their genius son, three spoiled cats, and one very lazy beagle. When she’s not creating quirky characters and happy endings, she’s chauffeuring her prodigy to guitar lessons, orchestra concerts, and baseball practice. She has a variety of hobbies, but her favorite is whatever gets her out of housework. The award winning author of over twenty-five books and novellas, Amy is a member of RWA, ACFW, NINC, and the Authors Guild. She loves to hear from readers. You can find her on Facebook, Instagram, Google+, Twitter, Goodreads, and Pinterest. 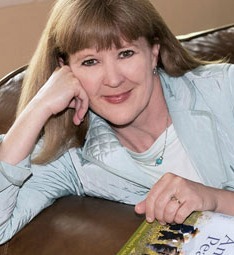 For links to the various sites, check her website: http://www.amywritesromance.com. Be sure to enter the rafflecopter giveaway for a copy of Just Plain Sadie by Amy Lillard. Cynthia Woolf has written another wonderful book. The Replacement Bride is book two in the Hope’s Crossing series. This book is full of surprises. Jesse moves forward with his life after having his heart broken. Will his second chance at love and marriage work out in the long run? I am looking forward to reading the next book in this series. Be sure to order your copy today. 5 stars! I received a copy of this book for my honest review. Suzanne has done it yet again. She has woven another memorable story that you are going to fall in love with. The Imposter is book one in The Bishop’s Family series. It is like a breath of fresh air being taken back to Stoney Ridge such a wonderful place to visit in my mind. You even get to catch up with a couple of characters from another series. I can picture the town and the characters that I have come to love in my mind and heart. I felt so many emotions while reading this story from love, faith, heartache, pain and forgiveness. There is always something happening in this story that you won’t want to put your book down. Be sure to order your copy of The Imposter today. 5 stars. I received a copy of this book for my honest review. God is Watching Over You is written by P.J. Lyons and beautifully illustrated by Tim Warnes. A board book that will surely become a favorite for your little one. Pictures and a story will surly grab your little one’s attention. I love how it continually shows throughout the story that God is Watching Over You no matter what you are doing. A most valuable point to reinforce to those so young in their faith. Be sure to buy your copy of God is Watching Over You today. Remember that is also makes a great gift. 5 stars! I received a copy of this book for my honest review. Trials and Tribulations is book one of A Windy Ridge Legal Thriller by Rachel Dylan. If you want a book that will keep you on the edge of your seat with all the unexpected heart pounding happens, strong faith and spiritual battles than this is the book for you. This story is so intense that I felt as though I was living out the experiences right along with the characters in this story. I have to say that Olivia & Grant were my favorites in this story. There is just something about them that kept me wanting more of them. Be sure to get your copy of Trials and Tribulations today. 5 stars! I am looking forward to reading the next book in this series. I received a copy of this book for my honest review. If your family is like most, breakfast is rushed to get everyone out the door. Lunch is spent at school or work. So where does that leave dinner? Nourish your family’s spiritual health as you eat supper together. Adventures in Odyssey and Odyssey Adventure Club want to give you a free resource to help you begin your new dinner tradition of making the most of your family mealtime, beginning this Easter season. Simply head to this page and fill out the form to receive a free sample of Whit’s End Mealtime Devotions. Playing the Part is book three in A Class of Their Own series by Jen Turano. Jen has done it yet again written a story that is so wonderful that you don’t want to put it down until the very end. There are characters that you will absolutely love and others that you would love to slap. This most unusual cast of characters and the unexpected happens will surely have you laughing at some of the things that take place through this most delightful story. This wonderful cast of characters will surely grab hold of you and not let go until the very end. Be sure to order your copy of Playing the Part by Jen Turano today. 5 stars! I received a copy of this book for my honest review.